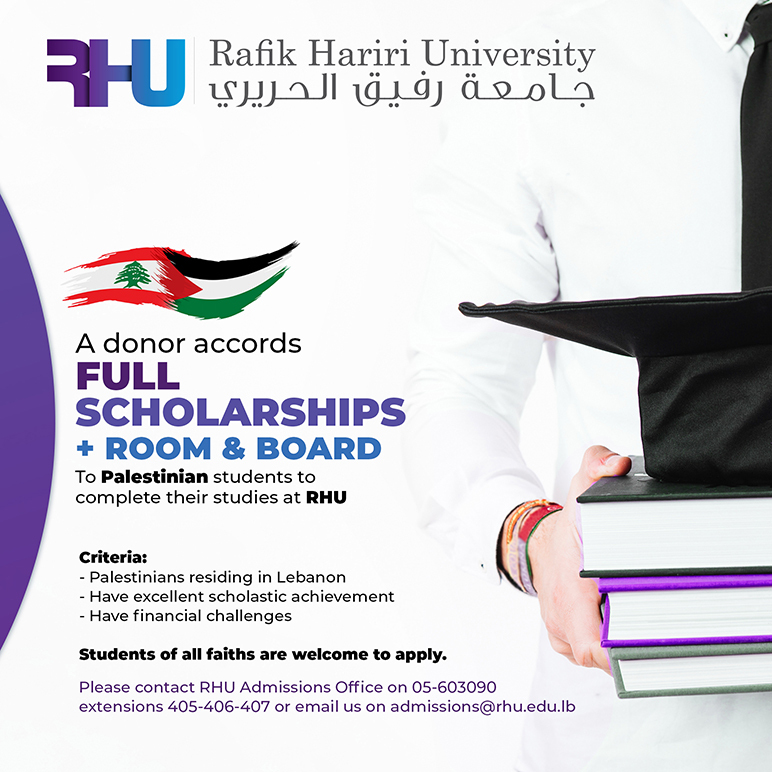 Full scholarships in addition to room and board will be given to Palestinian students residing in Lebanon to complete their studies at RHU. The candidates need to be good achievers but have financial difficulties. This was a result of a generous donation made to RHU. RHU acknowledges the contribution and philanthropy of the donor that has pledged to provide Palestinian students access to RHU's quality higher education.